Caution:Never attempt to remove the intake manifold from a hotengine, allow the engine to cool to ambient temperature. 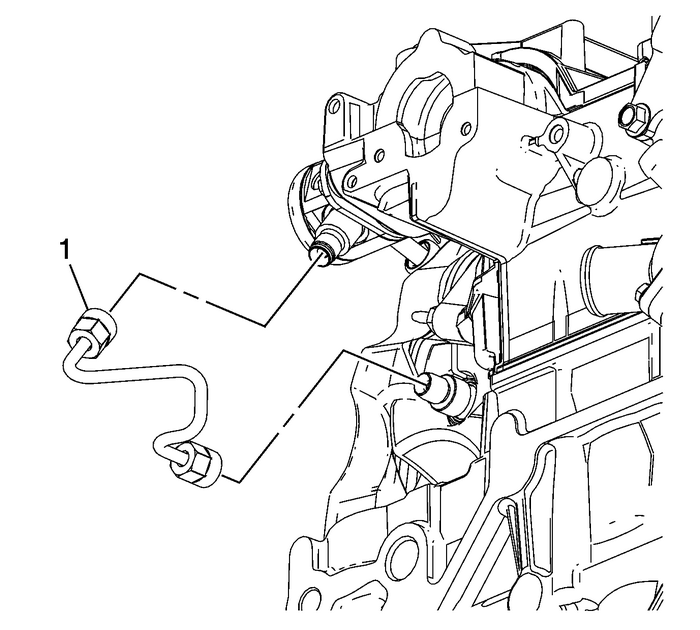 The intakemanifold can be damaged if it is removed when the engine ishot. 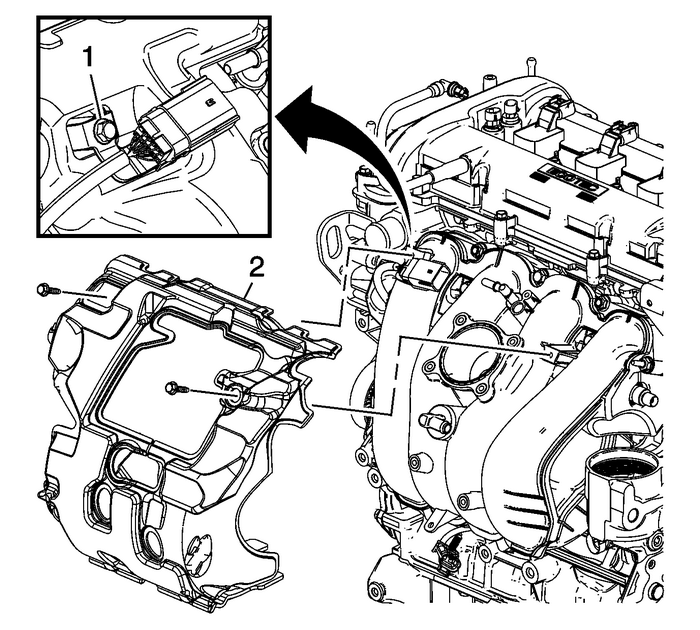 Remove the oil fill cap-(1).Remove the intake manifold cover-(2).Remove the oil fill tube assembly-(3) andO-ring-(4). 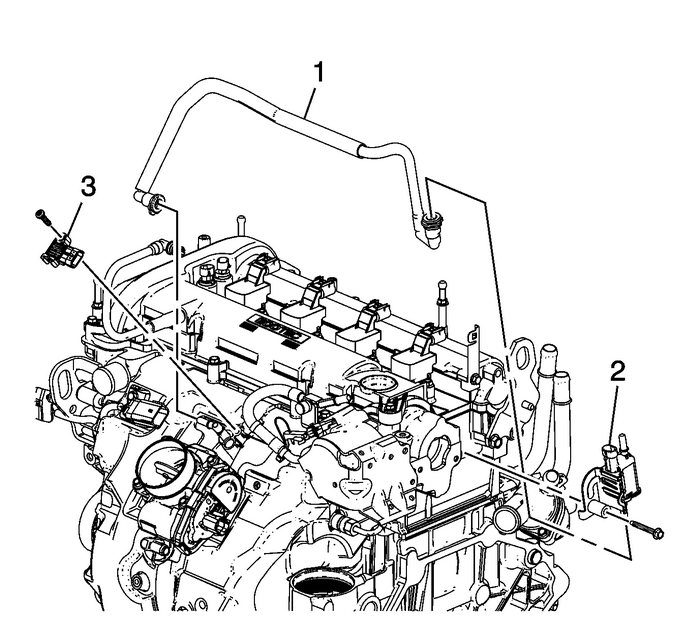 Remove the evaporative-(EVAP) emission canistervalve tube-(1).Remove the EVAP canister valve-(2).Remove the MAP sensor-(3). Remove the fuel pump cover nut, bolts, andcover-(3). Note:The low pressure fuel pipe used is model dependent. 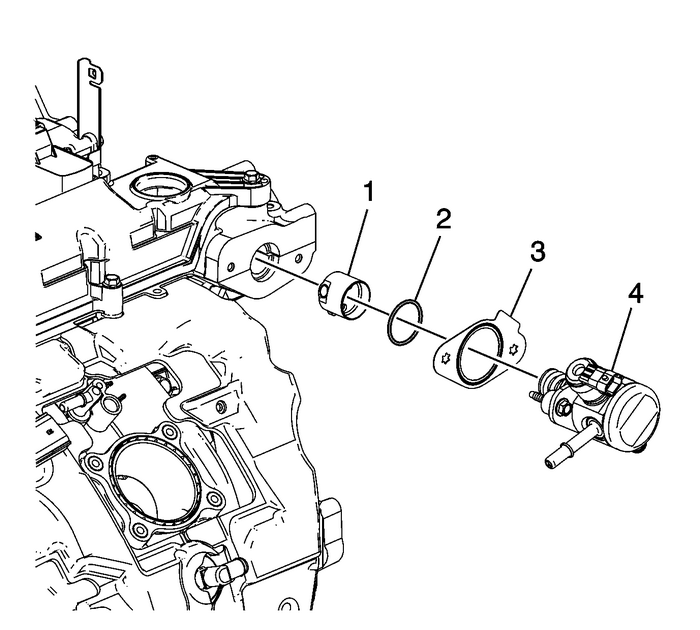 Remove the bracket bolt and low pressure fuel pipeassembly-(1).Remove the fuel pump insulator-(2). Warning:Fuel that flows out at high pressure can cause serious injuryto the skin and eyes. 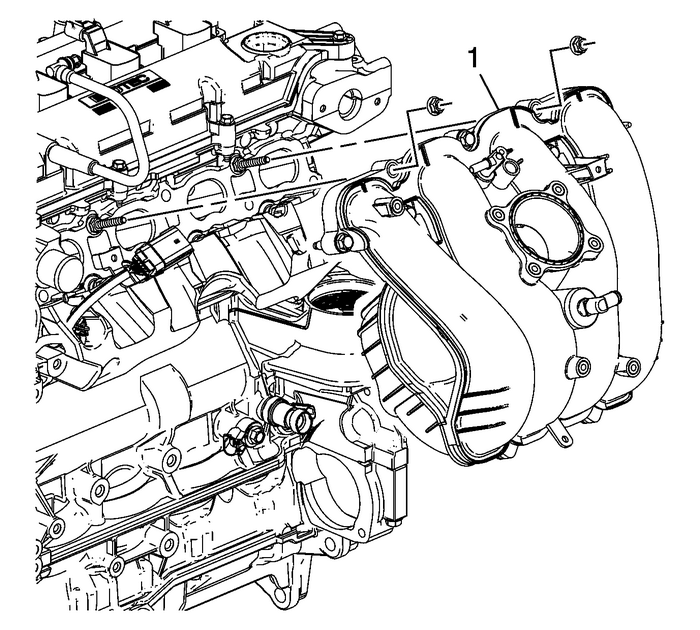 ALWAYS depressurize the fuel system beforeremoving components that are under high fuel pressure. Remove and discard the fuel feed intermediatepipe-(1). 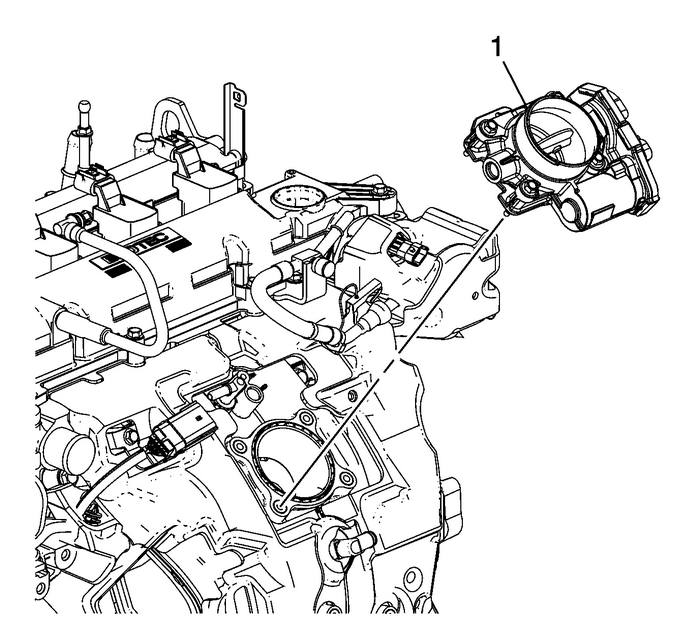 Remove the fuel pump assembly-(4).Remove and discard the fuel pump housingO-ring-(2) and gasket-(3).Remove the fuel pump roller lifter-(1). 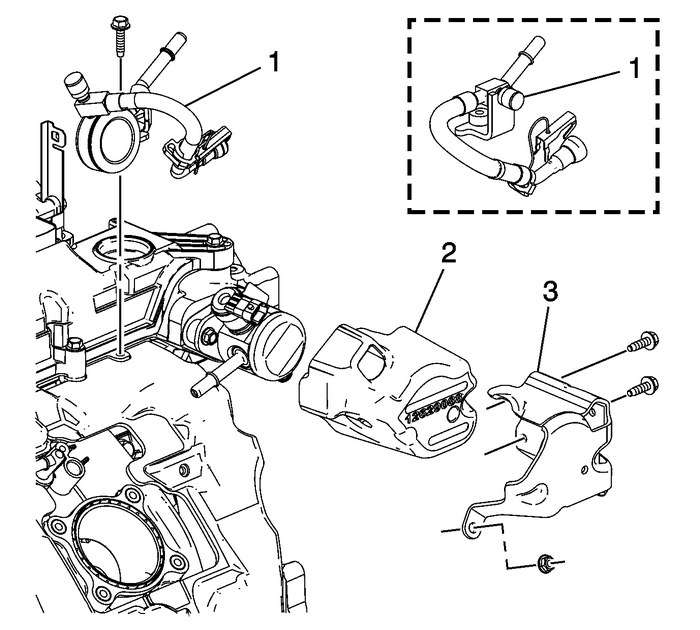 Remove the fuel rail harness connector bracketbolt-(1) and intake manifold insulator bolt.Remove the intake manifold insulator-(2). 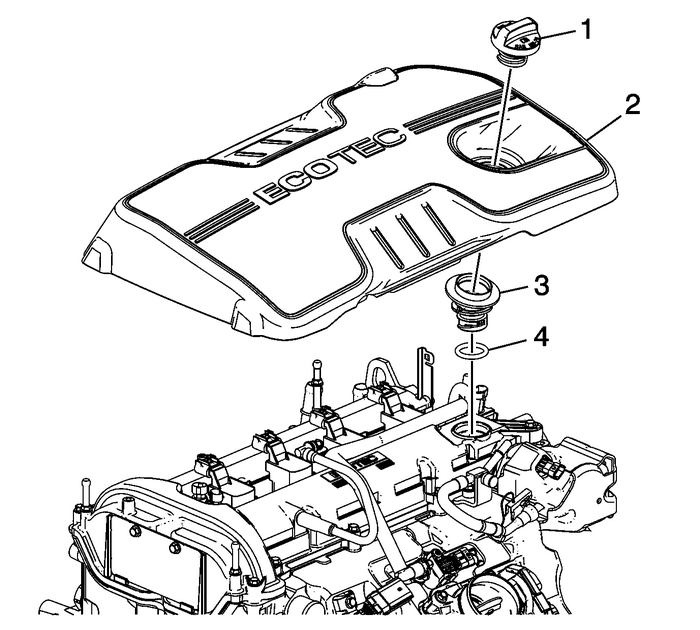 Remove the intake manifold retaining nuts and bolts.Remove the intake manifold-(1).If the intake manifold needs to be replaced, transfer thethrottle body to the new intake manifold.